At her great-aunt's 150-year-old farmhouse, Elizabeth uncovers a series of mysterious items, locked doors, and hidden graves. As she searches for answers to the riddles around her, the remarkable stories of two women who lived in this very house emerge as testaments to love, resilience, and courage in the face of war, racism, and misunderstanding. And as Elizabeth soon discovers, the past is never as past as we might like to think. 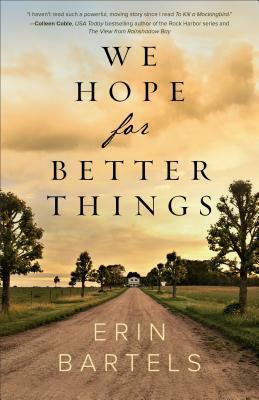 Debut novelist Erin Bartels takes readers on an emotional journey through time--from the volatile streets of 1960s Detroit to the Underground Railroad during the Civil War--to uncover the past, confront the seeds of hatred, and discover where love goes to hide. ERIN BARTELS is a copywriter and freelance editor by day, a novelist by night, and a painter, seamstress, poet, and photographer in between. Her debut novel, WE HOPE FOR BETTER THINGS, is scheduled to be released in January 2019 from Revell Books, followed in September 2019 with THE WORDS BETWEEN US, which was a finalist for the 2015 Rising Star Award from the Women’s Fiction Writers Association. Her short story “This Elegant Ruin” was a finalist in The Saturday Evening Post 2014 Great American Fiction Contest. Her poems have been published by The Lyric and The East Lansing Poetry Attack. 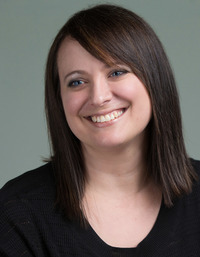 A member of the Capital City Writers Association and the Women’s Fiction Writers Association, she is former features editor of WFWA’s Write On! magazine. What a great read, from beginning to end the author pulled me in, from Civil War time to present day, we meet the members of one family through the generations. 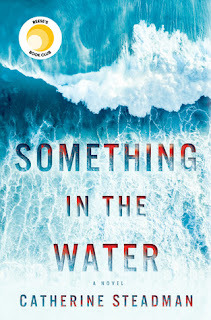 This one of the best books I have read this year, and now looking for more from this writer. We see injustice here in many forms, but mainly racism, and some that preach what they don’t practice. There is also some sweet romance here, and some tragic endings, family dynamics at the highest levels. A don’t miss novel that will leave you wanting more! I received this book through LibraryThing, and was not required to give a positive review.